When I received the email notifying me that I was the winner of The Budget Beauty Blog’s giveaway, I nearly jumped out of my seat. 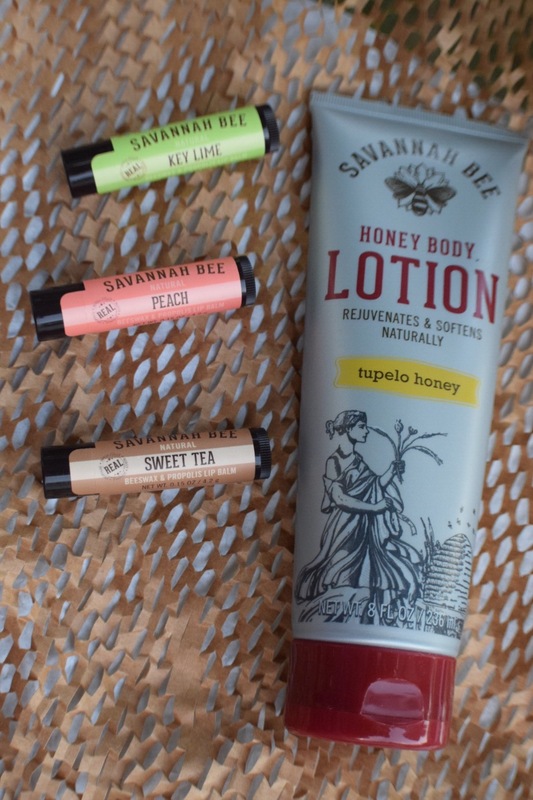 These were the perfect products for our upcoming vacation from the Savannah Bee Company. If you aren’t following The Budget Beauty Blog you are really missing out on some great content! I won this giveaway a few weeks ago, and I’ve had plenty of time to use these items (basically everyday) since they arrived. 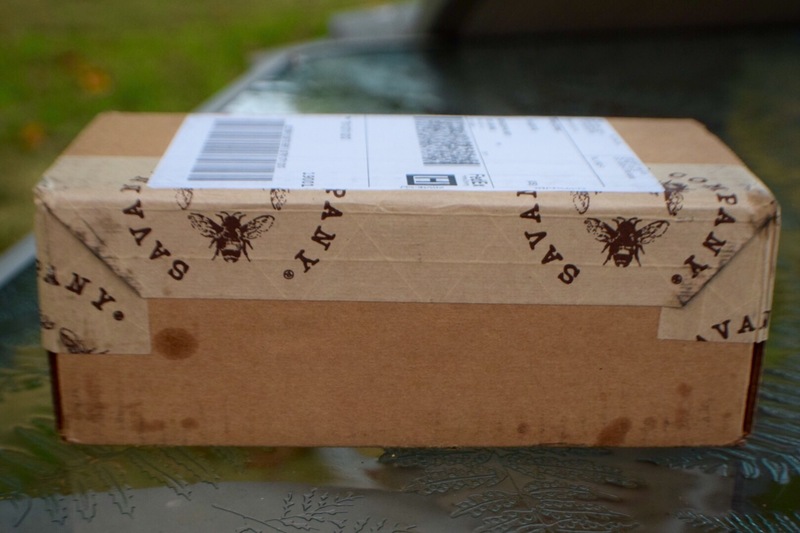 The packaging was just so cute with a bee themed tape on the outside of the shipping box. 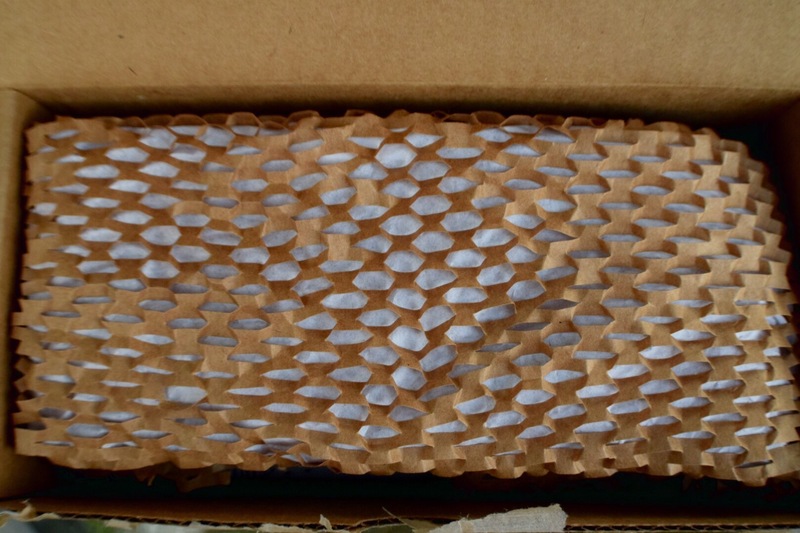 The protective paper surrounding the products appropriately resembled a beehive and again also very cute. The founder of the company is a bee keeper and takes pride in sharing the benefits of honeycombs in the beauty industry. I received Savannah Bee’s Honey Body Lotion in Tupelo Honey Savannah Bee states “Honey Lotions are made from 100% all natural ingredients, contain no parabens or petroleum, and are never tested on animals.” There is a very distinct and naturally beautiful scent in the Tupelo Honey Lotion. I am officially addicted to this stuff. It takes some lathering to work this lotion into your skin, but once you do you won’t regret it. I use it every night before bed and I wake up with extra soft skin that is well hydrated, even after the beach. I also received three Natural Beeswax Lip Balms- in the Southern Flavors (Key Lime, Sweet Tea, and Peach). The lip balms are also very good, my favorite being the peach. What a perfect gift right before our beach vacation. They are very smooth and nourishing and will keep your lips moisturized for hours. The prices are extremely reasonable as well, with the lotions being $12 USD and a variety of fragrances. The lip balms are $6.50 each with an even larger variety. There are also sets available for purchase. This is my first giveaway win and has inspired me to have my own giveaway. I want someone to feel as lucky and appreciated as I have. Huge THANK YOU you to the Budget Beauty Blog!! Thanks Lovely!! I will check it out as soon as I get back from vacay.